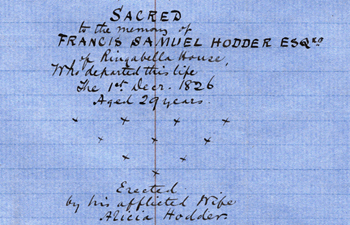 Figure 1: Travel Diary opened at the second page. For four months in the spring and summer of 1865, a young, recently married couple travelled to England and Ireland from their home in the city of Quebec. 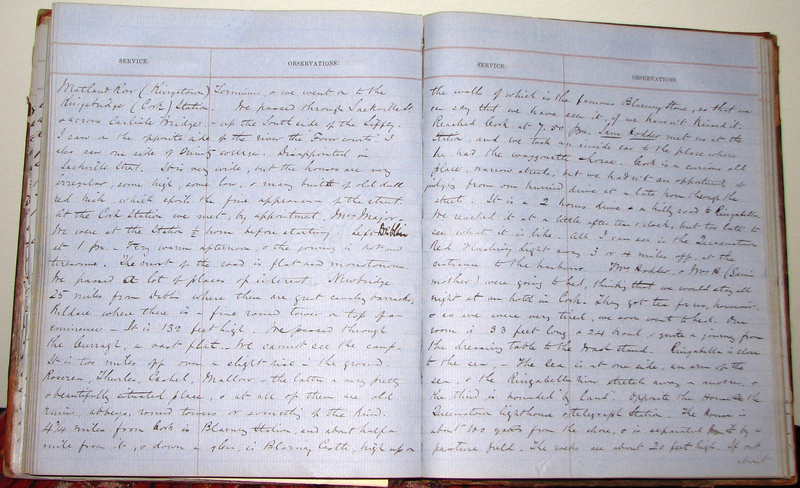 The husband - John Cunningham Stewart - then aged 25, kept a journal of this trip. The following article is based on a small portion of the diary. 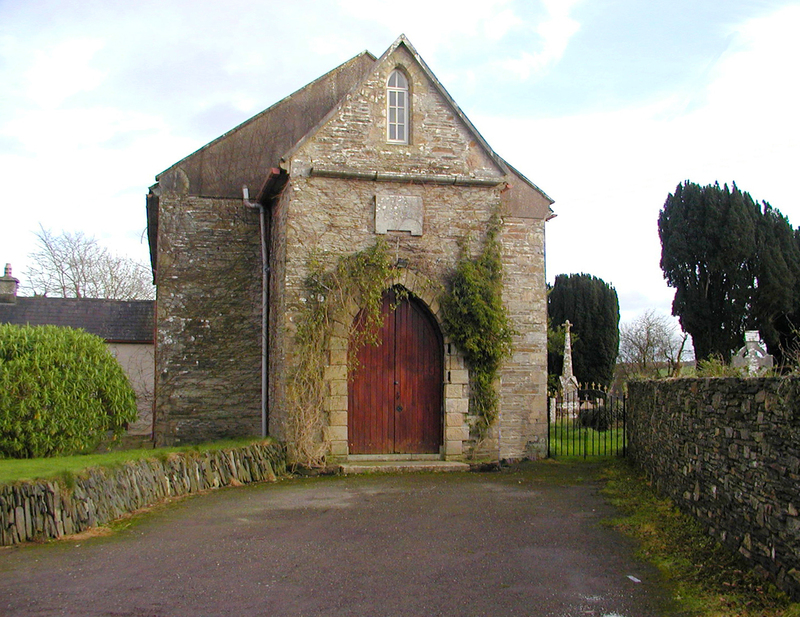 It covers the first five days in July when he and his 24 year-old wife, Geraldine Mary Laura, nee Hodder, were visiting her Hodder relatives in Tracton and other nearby parishes in County Cork. Cunningham and Geraldine Stewart were the great grandparents of the author. Stewart leaves no answer as to why he and his wife made this trip or how it was possible for them to have such a gloriously long time away from home and work. There were few domestic responsibilities: they were not to have children until a year and a half later though they did have a dog 'Mungo', left at home with friends. Perhaps the tour resulted from personal factors in Cunningham's life. The youngest of six children, Cunningham was an orphan at the age of 8. He describes being raised in genteel poverty by aunts in Belfast. At age 13, he and two of his older sisters were to leave for Canada. The sisters returned home to Ireland and the older one, affectionately called Harrie, died tragically in February in Belfast. Possibly this death precipitated the trip. We do know that Geraldine's ancestors lived in County Cork for at least 225 years. Kae Lewis in her chapter 'The Hodder Estates' found in Tracton, Where the Abbey Lies Low (2007) provides a thorough historical understanding of this family. Geraldine's own line had left by the late 1790's. Her paternal grandfather, Edward Hodder who was likely born in Curribanny, left County Cork for a career in the Royal Navy. Her father, Edward Mulberry Hodder, a physician, left France for Queenston in Upper Canada where she was born. It is doubtful that Geraldine had visited Ireland before and now she would meet her distant cousins at Ringabella and nearby Hodder properties. The weather during this portion of their trip was as Cunningham writes in his dairy 'uniformly fine and warm' with only one slight morning shower - 'we are indeed fortunate with the weather'. JULY 1 1865: SATURDAY, A TRAVEL DAY. Leaving from the Ulster Railway station in Belfast at 7 a.m. the Stewarts purchased a 1st class excursion ticket to Killarney and back, paying £2.55 each, a sum they felt to be reasonable. 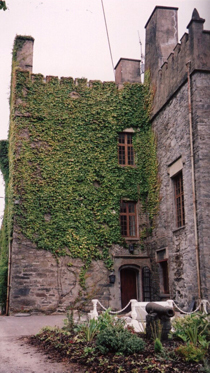 After a two-hour stop in Dublin and a transfer of trains at Mallow, they arrived at Cork at eight o'clock in the evening to be met by their host, Samuel Hodder of Ringabella. From the train station, they went in an inside car to the place where Sam had his wagonette and horse. Too dark to have a close inspection, Cunningham found Cork to be a 'curious old place with narrow streets'. It was a two-hour drive and a hilly road to Sam's residence where they would stay for the next four nights. 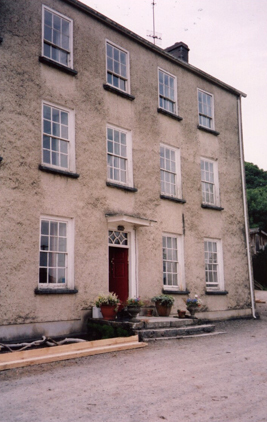 Due to the late hour of their arrival, they had tea with Sam's wife, Jane and his widowed mother, Alice only. The next day they saw Sam and Jane's three children, William Morgan about 4, Alice who was named after her paternal grandmother, and Baby Samuel, a 'little chap of about two'. 'They are fine wee things and very good, & dreadful Paddies with fine rich brogues.' On the property were 'Skye' a little Skye terrier and two pups, plus many cows and sheep. Both Geraldine and Cunningham thought that Sam reminded them of her father, Edward Mulberry Hodder of Toronto. Cunningham described their host as being 41 or 42, while in fact he was not quite 45. He wrote of Sam: 'He is very deaf, which is a great pity, as it is so hard to talk to him. He seems to be a thorough good hearted chap, & very fond of his wife & children. He is as fond of hunting as he is of yachting.' Sam took Cunningham out for a sail on Monday but did not take him hunting. Cunningham knew he would be able to explore the house and property the following day but closed his diary entry with the observation that their bedroom was 33 feet long and 24 feet broad and 'quite the journey from the dressing table to the washstand'. JULY 2 1865: SUNDAY - CHURCH AND OBSERVATIONS OF RINGABELLA AND ENVIRONS. 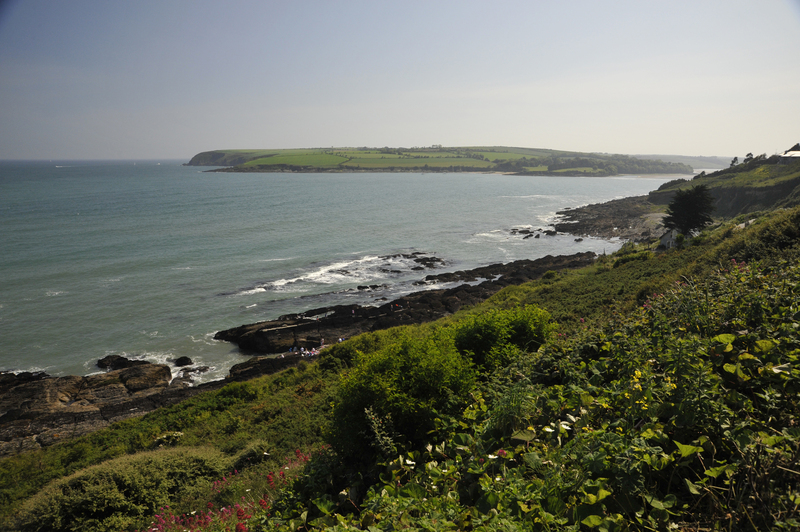 On rising, Cunningham and Geraldine threw open their bedroom window and looked out over about 100 yards of pasture to the sea - 'A glorious view'. 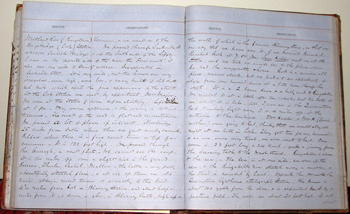 As in other diary entries, the names of ships seen were recorded. Today they saw a couple of steamers in the harbour; the 'SS Africa' which arrived from Boston that morning and the splendid 2-masted and 2-funnelled 'SS Persia' which arrived from Liverpool and was headed to New York. Shipwrecks and other calamities at sea were a frequent topic of conversation at Ringabella. Two miles west of Ringabella is Daunt's Rock, which is about ten feet below water line at low tide. The 'SS City of New York' was lost here a few years earlier. Sam was out in his punt on the day of the attempt to pull her off the rock. He had seen the grounded ship each day and noted that if it had not slammed so hard into the rock, it would have rebounded and sunk in a moment with all lives lost. While the ship was lost within days, there were no casualties. Further details of this sorry event can be found in 'Tracton, Where the Abbey Lies Low', (2007) on pages 209-210. Later that morning the Hodders and Stewarts drove to the local parish church, about 4 miles away, for the noon service. 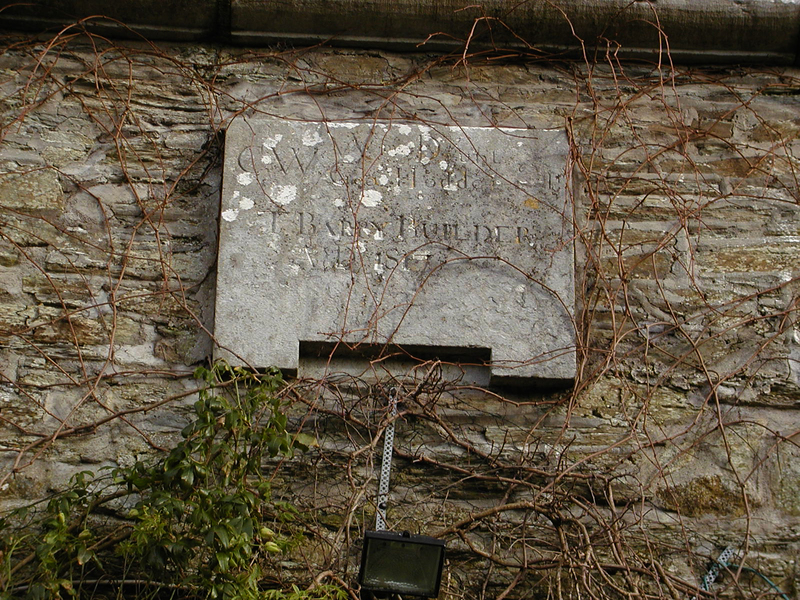 Figure 4: Former Tracton Church showing the plaque over the door. (Note CW stands for Church Warden). 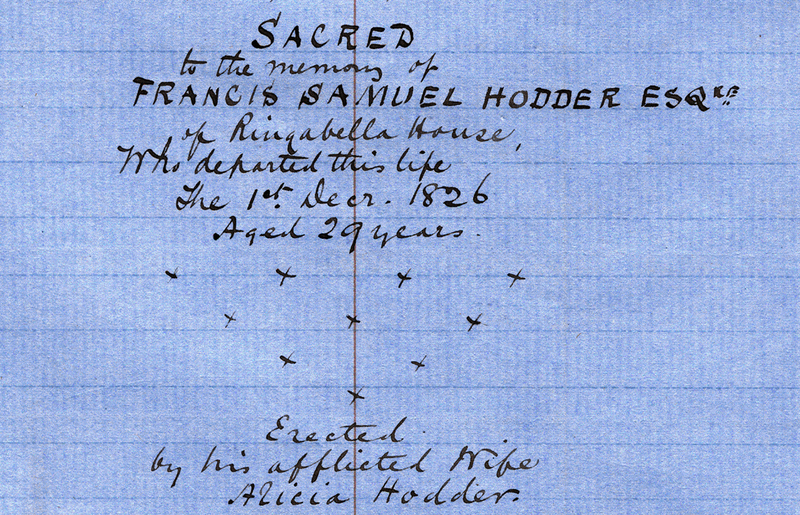 Once inside the church they observed the stone plague commemorating Sam's father, Francis Samuel Hodder of Ringabella House. The memorial was placed over the family pew. placed over the family pew at Tracton Church. The Tracton Parish church, built in about 1818, was funded with a loan for £1000 from George Hodder of Fountainstown and William Daunt. 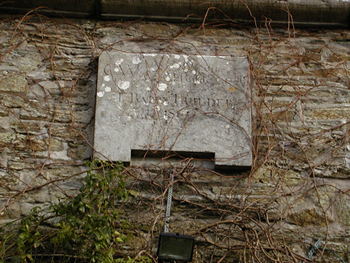 Cunningham noted the stone over the outside door, showing their names. 'They built the church. Old Mr. Daunt is alive still. Sam pointed him out to me on the way home.' After lunch, the Stewarts had a walk along the cliffs 'some 80 or 90 feet high and forming the highest land from there to the west of Ireland'. Cunningham mused that the sea must break heavily here in winter. They dined at 6:00 p.m. with 'magnificent strawberries from the fine and sheltered garden' and then talked in the drawing room until tea at nine o'clock. Figure 7: Ringabella Bay with Ringabella in the background. Photo by Evan Lewis M.D. JULY 3 1865: MONDAY - A MORNING'S SAIL AND AFTERNOON VISITS TO OTHER HODDER RESIDENCES. While Geraldine was writing letters, Sam took Cunningham for an hour's sail across to the Queenstown Lighthouse and back. There was a slight shower and a pretty good swell for Cunningham's 'first sail in a yacht in the Atlantic'. His father-in-law was then the Commodore of the Royal Canadian Yacht Club in Toronto and the Stewarts were likely used to sailing with him on Lake Ontario Ontario aboard his 40 foot long, 17 ton cutter rigged sloop the 'Breeze'. Probably, Sam would have mentioned his own involvement in the Royal Cork Yacht Club, both in organizing regattas and sailing the numerous yachts he owned over the years. He had previously owned the 'Amulet' (1841), the 'Breeze' (1842), the uniquely designed racer 'Enchantress' (1846-1856) and the 32-ton 'Kathleen', a craft with a first class cruising reputation that he had purchased in 1857. Today, he was sailing his 'Fawn' a 27-ton, dandy-rigged yacht that was 45 feet in length and with a beam of 11 feet 6 inches. Sam owned the 'Fawn' through to at least 1870 and the 'Drift' to c. 1884. 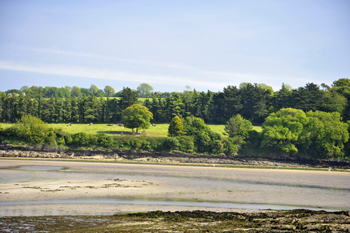 About half a mile from shore they were able to see the Queenstown Harbour opening with Camden Fort on the right, and on the left Carlisle Fort, which reminded Cunningham of the Citadel at Quebec. 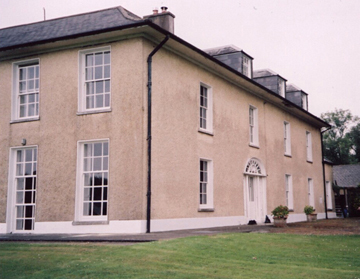 He noted seeing the fine, large and handsome residence of Lord Fermoy just past the lighthouse. They also saw a whale diving, and large shoals of sprats 'in such numbers that they darken the water' and attracted tremendous flocks of gulls. 'I'm sure there were millions of sea gulls - the yacht seemed to cut the flocks in two as they rose screaming and circling about.' They also saw some puffins with duck-like bills, others with long bills, and cormorants, the size of geese. 'It flies like a goose too'. wrecked off the coast many years ago. To get home from Fountainstown, they drove across the Ford near Ringabella the location of numerous drownings over the years. 'The salt water came up above the axles. This road shortens the distance to Cork by about 3 or 4 miles but it is only at low water that it can be taken'. Cunningham and Geraldine remained at home after dinner, not going out but sat in the drawing room until tea. They later wrote letters to their respective relatives. JULY 4 1865: TUESDAY - A SLOWER PACED DAY OF BOATING, WATCHING STEAMERS AND A WALK TO FOUNTAINSTOWN. Cunningham started his day by letter writing. He then 'went down to the rocks, and went out in the boat to see if there were any lobsters in the kreel, but there were none.' And later in the morning he and Geraldine, along with Sam's mother and children then went for a row up the Ringabella River in the big fishing boat, rowed by two men. 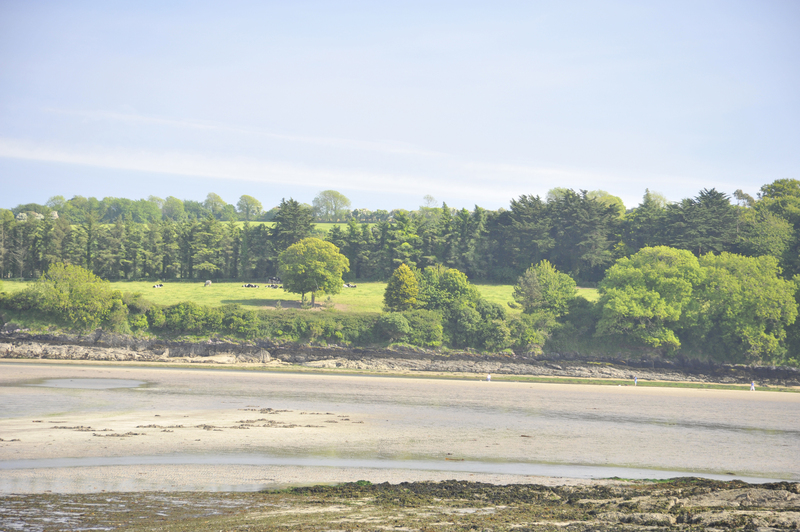 While Cunningham remained at Ringabella for the afternoon, Geraldine and Sam's wife crossed the Ford in the boat and then walked to Fountainstown. 'Frank Hodder has distinguished himself very much at Trinity College - he has carried off great honors, and was 300 marks ahead of the 2nd best.' Geraldine noted that two of the sisters, presumably the older ones, were 'pretty girls without brogues, & very pleasant & cousinly'. Frank, whose full name was Francis George Hodder was to become a Barrister-at-Law, a J.P., an Assistant Land Commissioner, and a Resident Magistrate in Ireland. After three quarters of an hour in Cork, where they saw Fitzgibbon's 'a large shop, the finest in Ireland, and larger than any - they say, in London' and had lunch, the Stewarts left Cork at 2:45 p.m. by train. Geraldine's trunk that had been sent in by the cart was late, so Sam promised to forward it by night mail. 'I was very sorry to leave the Hodders - they had been so kind and friendly'. 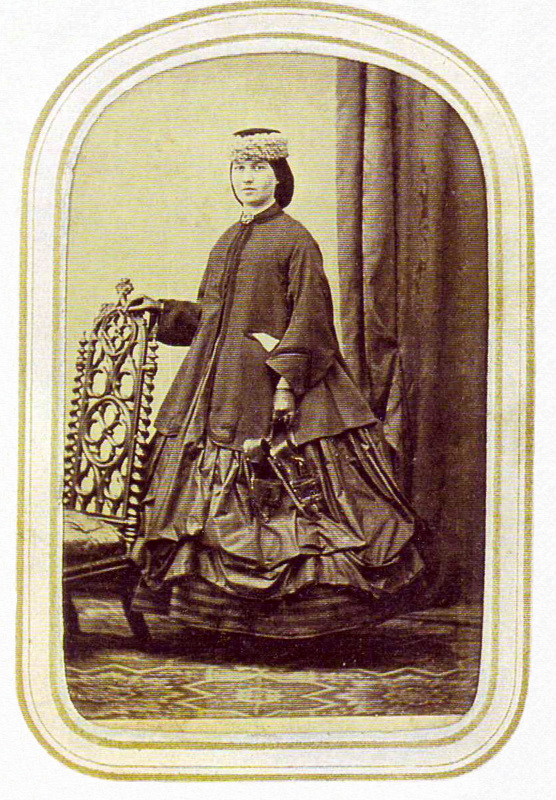 Mrs. Amelia Foley, the near 40-year-old wife of Rev. Robert Peter Foley of Tracton, accompanied them in the same carriage to Dublin, a distance of 169 miles. The ride took six hours and forty-five minutes - 'not fast but we stopped very often'. And so ended four idyllic days at Ringabella, during which Geraldine came to know the land where her forefathers had lived so long ago. She would take back to Canada lasting memories of her kind and friendly kinfolk at Tracton, as well as a 'lovely pearl and Emerald ring' so generously presented to her by Sam Hodder of Ringabella. Reference regarding the cannon in Figure 8: 'Proceedings and Papers' in The Journal of the Royal Historical and Archaeological Association of Ireland, Fourth Series, Vol. 6, No. 54, April 1883, (p.49-60). Published by: Royal Society of Antiquaries of Ireland.